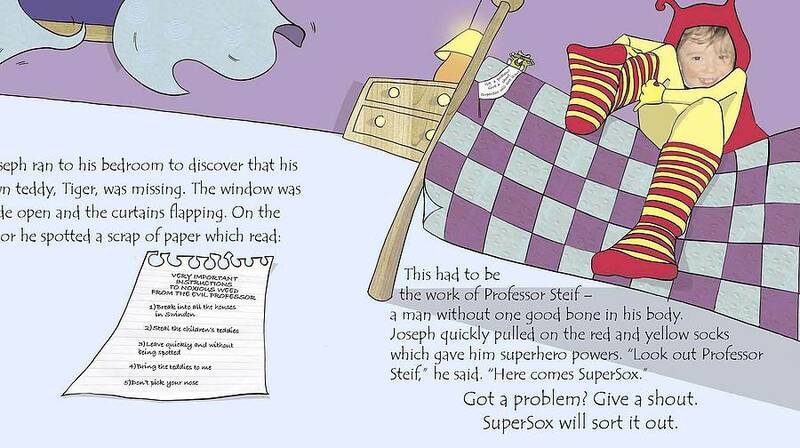 This magical personalised book gives boys and girls the chance to star in their own action-packed superhero story as the brave and fearless SUPERSOX! 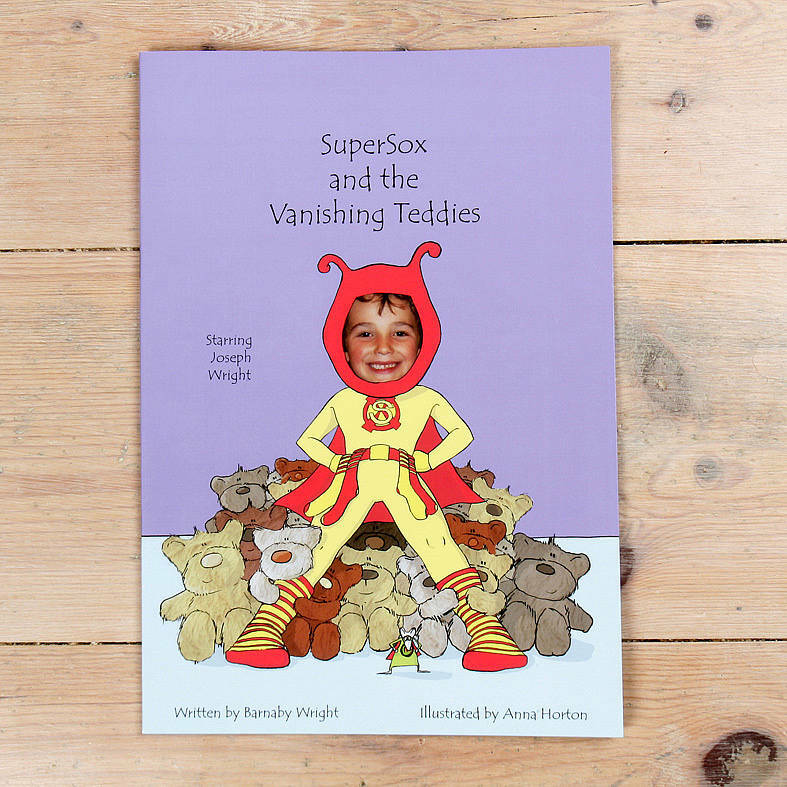 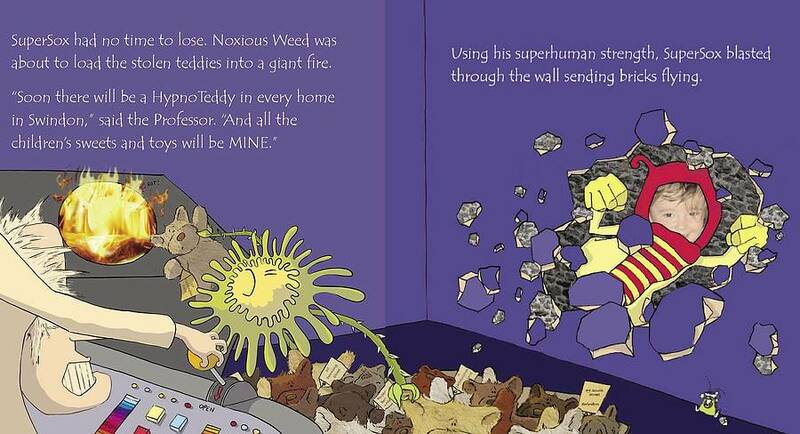 SuperSox and the Vanishing Teddies is suitable for boys and girls and follows the child’s adventures when the evil Professor and Noxious Weed steal all the children’s teddies and replace them with their own wicked invention, HypnoTeddy. 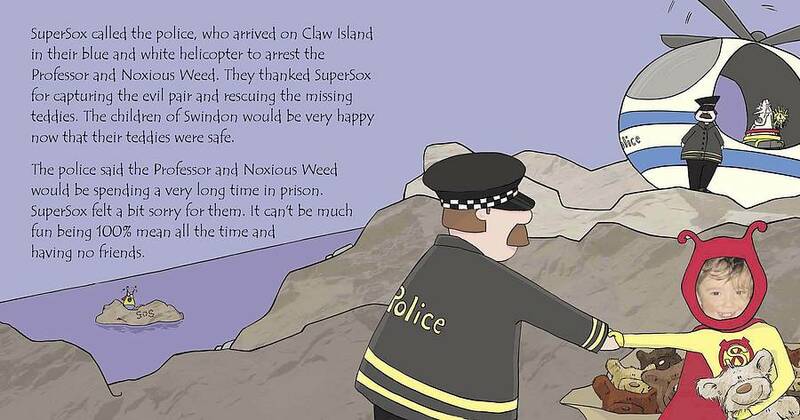 This is a job for SuperSox and it’s not long before the child is soaring through the sky, blasting through walls and turning the evil pair over to the police. 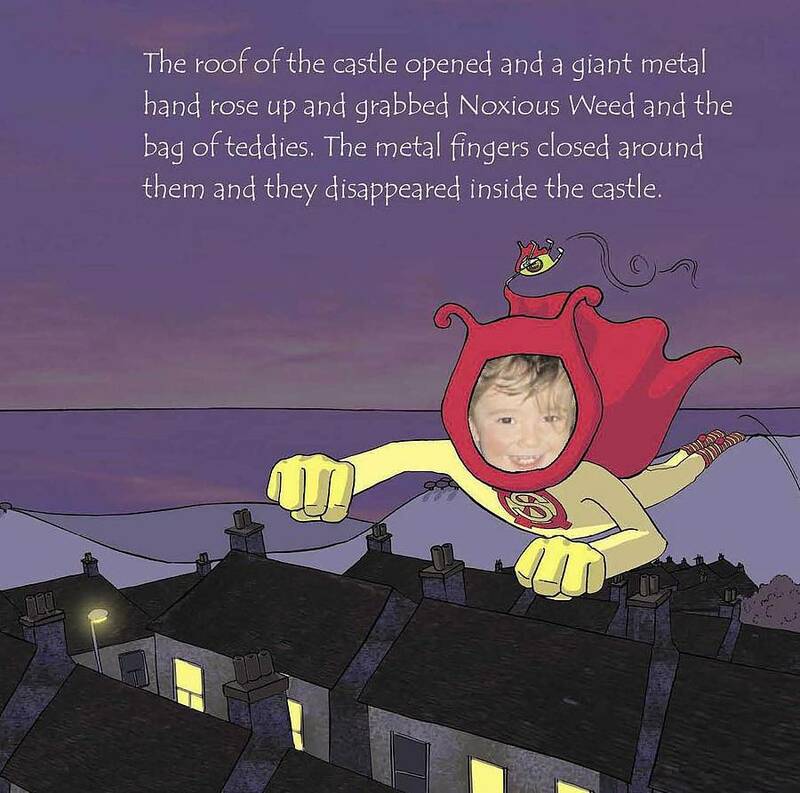 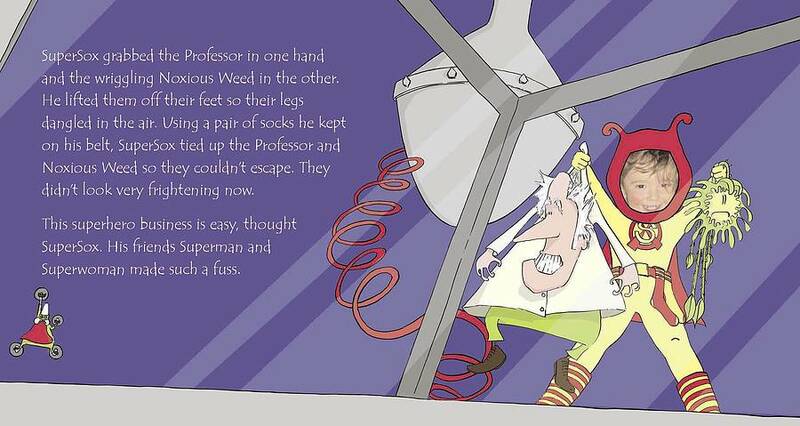 Perfect for children aged 4 plus, with a gripping story line that places the child at the centre of the action. 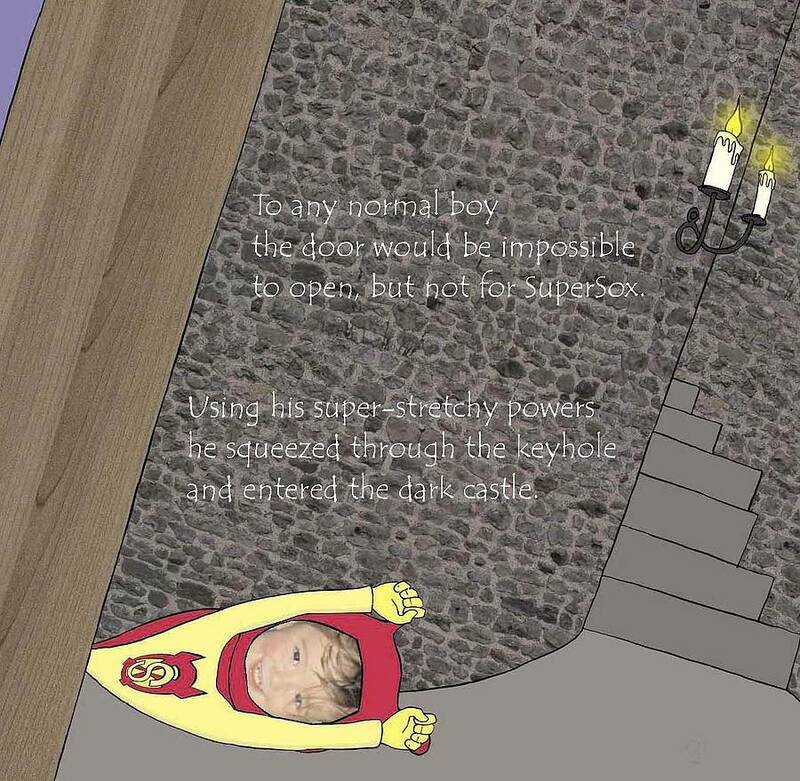 The child’s face is incorporated into all the illustrations and the story includes lots of personal information, ranging from the child’s favourite television programme to their age, the name of friends and family members. 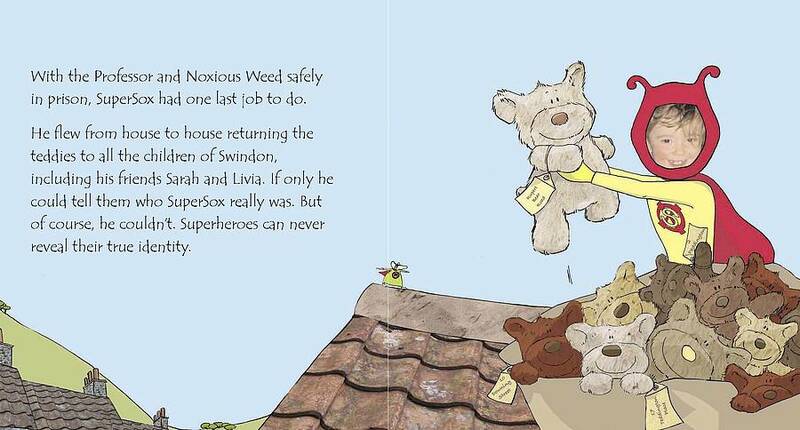 A personal message from the sender to the child is included at the front of the book. 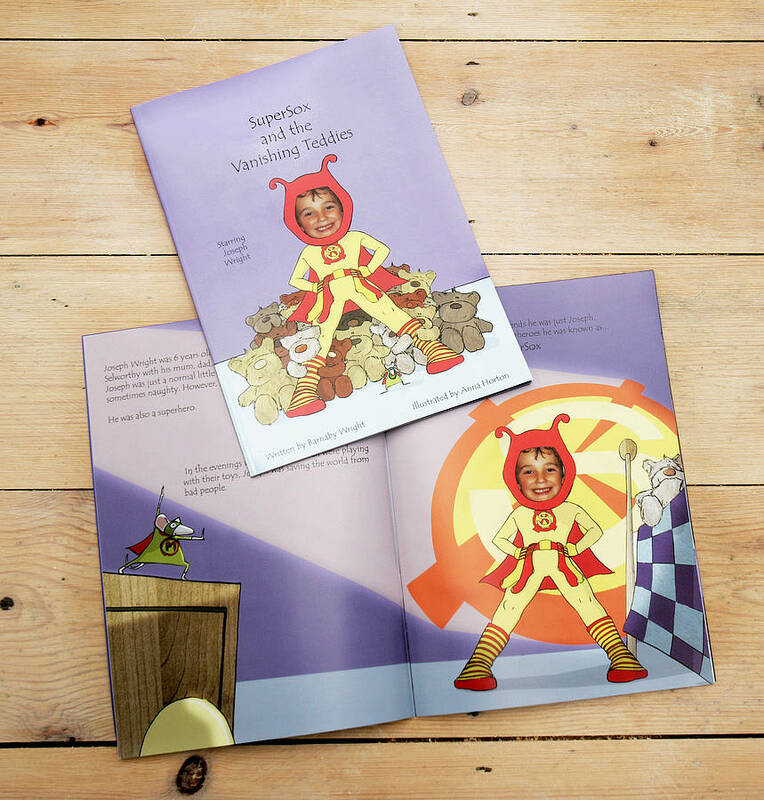 This 32-page hardback book is printed in full colour on thick paper.